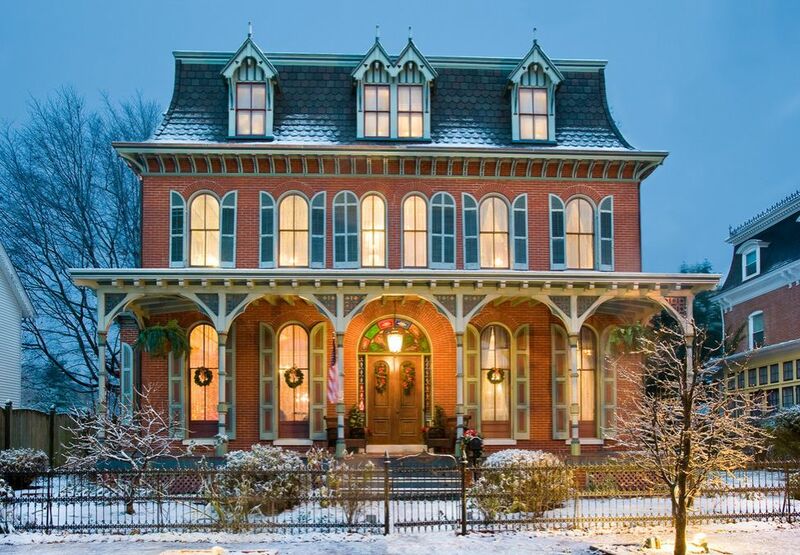 Built in 1877, this stunning home seen on Houzz is a gorgeous example of French-inspired Second Empire Victorian architecture. The house was built by Benjamin Biggs, the 46th governor of Delaware. He was a successful man who wanted to show off his wealth for all the world to see, and he did a magnificent job. 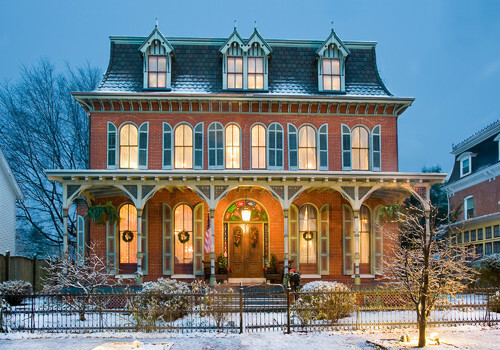 The exterior of the home is defined by the shingled mansard roof and its adorable dormers. Directly below the roof, a series of arched, shuttered windows fill the second floor of the home with natural light. The arched shape is seen again in the large windows of the first floor. 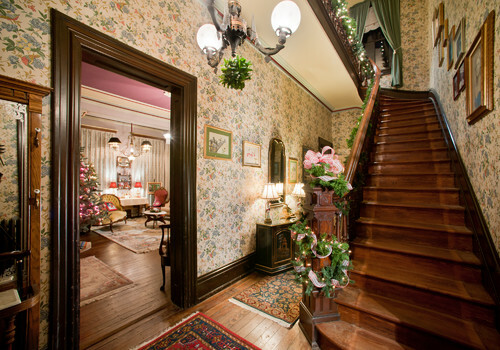 This grand, sweeping staircase is found right inside the front door of the home. 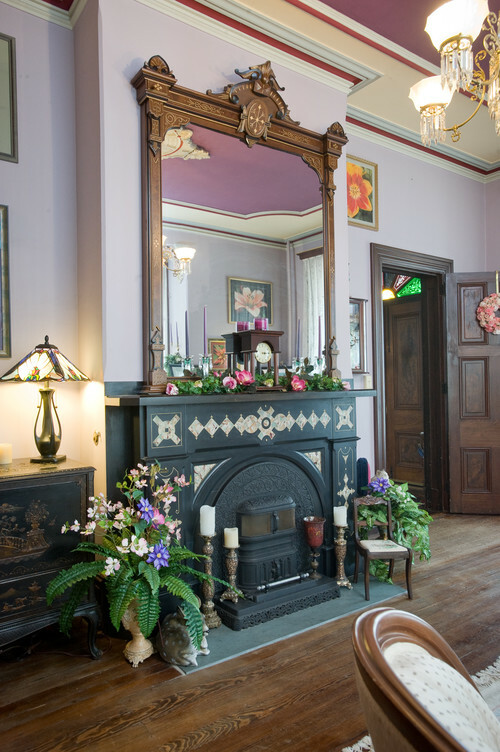 The hardwood floors are decorated with beautifully intricate rugs, and the cheerful, floral wallpaper gives the space a Victorian feel. The living room features an opulent pendant chandelier and introduces guests to the 12-foot ceilings found throughout the home. Perfectly decorated for Christmas, the room looks almost like a movie set. As the centerpiece of the living room, this gorgeous fireplace does far more than keep the room nice and cozy. The black mantle features a pattern of colorful, contrasting tiles, and the ornate frame around the mirror is a treat for the eyes. 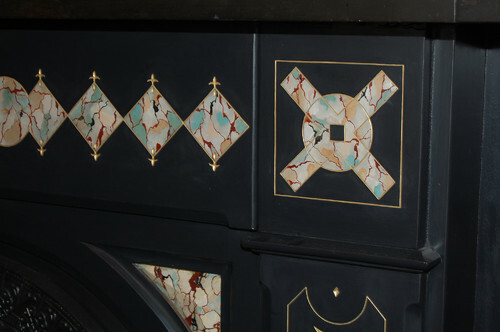 Up close, it's impossible to not appreciate the intricate details of the fireplace tiling. Here is the large home office, which is beautiful enough to distract anyone who steps inside. 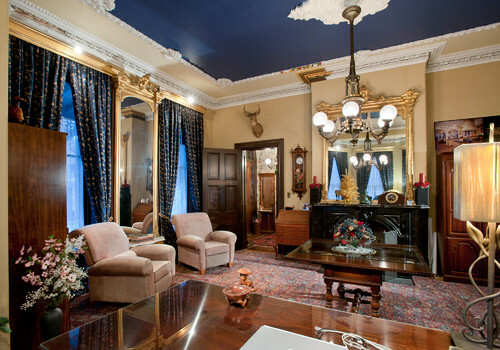 Highlights of this room include the elegant chandelier and the intricate woodwork found around the edges of the ceiling. 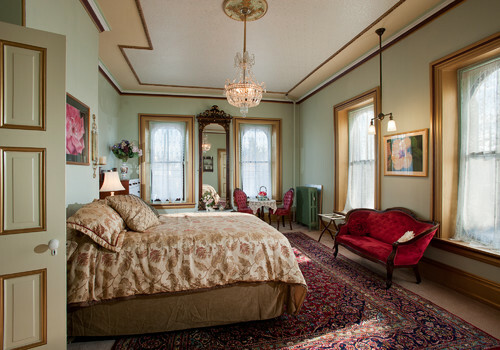 The master bedroom is the epitome of Victorian luxury thanks to the faux-gold trim around the windows and door. 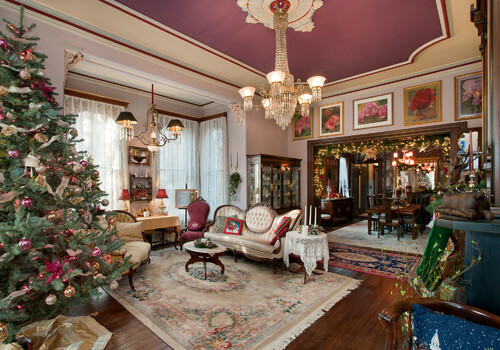 The room has been lovingly decorated with antique furniture, and an elegant pendant chandelier completes the look. 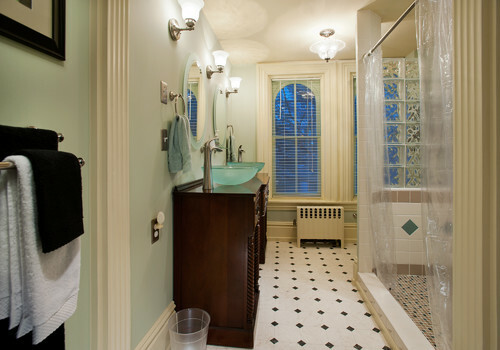 The master bathroom features a spacious shower, large arched windows that let in plenty of natural light and an antique vanity that was formerly a dining room sideboard. Although not the formal dining room, this space is the perfect location for quiet family meals. 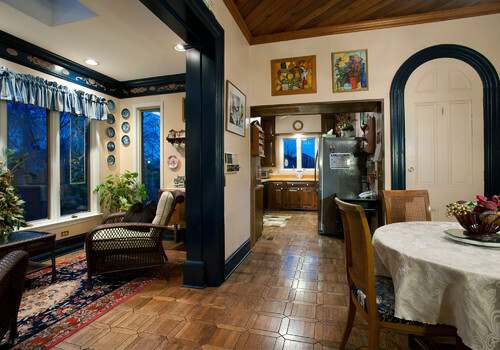 Special touches include the patterned hardwood floors and the beautifully arched door. In classic Second Empire style, the home welcomes visitors with a large covered porch featuring beautiful turned posts. It really gives you a feel for the sense of grandeur that makes the house so special. 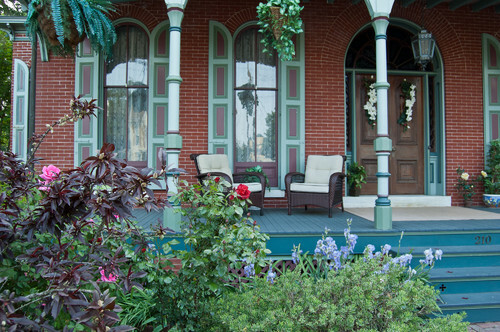 What do you think of this lovely old home? Let us know in the comments, and be sure to share this article if you loved it.